Does life ever slow down? To be honest, I wouldn't know what to do if it did. Probably take up another hobby, thereby busying it up again. Unfortunately, I can only write so much about derby that even borders on worth reading. Even when I'm cutting up fresh fruits and veggies to make healthy food lately, it's things I've already blogged. So what have I been up to? Sunday morning was another photo shoot. This isn't one of the outfits, but I do love this Bettie Page shirt that I got in Vegas more than a year ago, as well as an adorable jacket Mama Breakdown gave me for my birthday. Actual photos from the shoot to come, I'm sure. 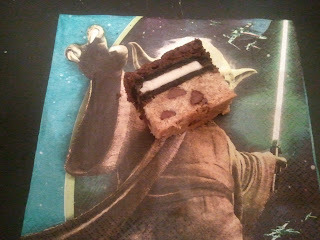 For a BBQ this weekend, I made Brownie-Cookies of Doom ... with Double-Stuf Oreos between the layers. The world may never be the same. And I may wear stretchy pants for the rest of my life. Cross-section of cookie, on Yoda napkin. The Royal Pains had team pictures Saturday morning. 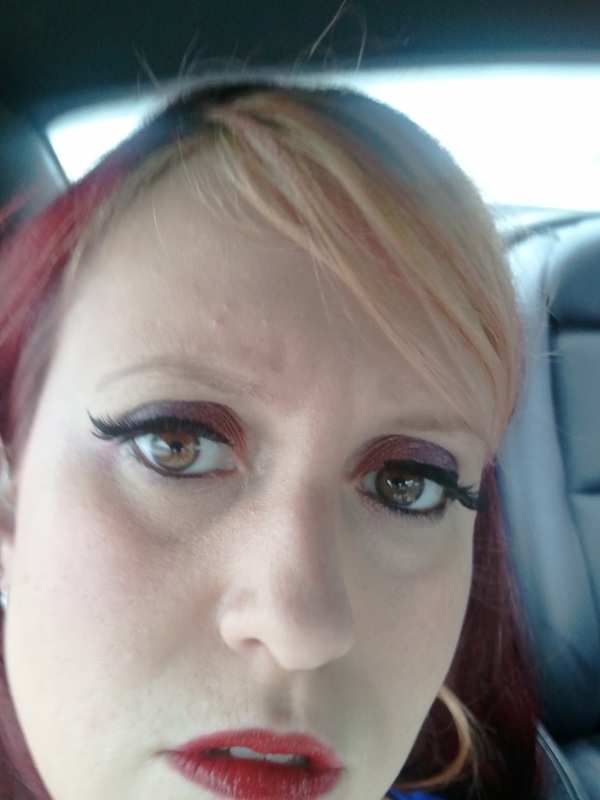 My teammates helped me make my makeup all pretty. Team photos to come in the near future. Last Thursday night, I dyed my hair redder than it's ever been. 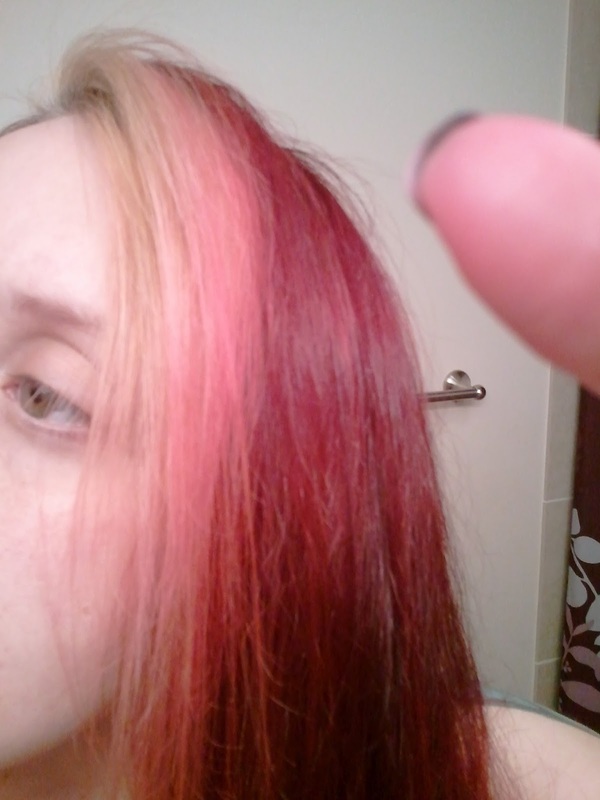 Then the red dye bled onto my blonde streak, making it Barbie pink on the ends. I was able to re-bleach part of it out before derby pics, but I'm mildly distraught. 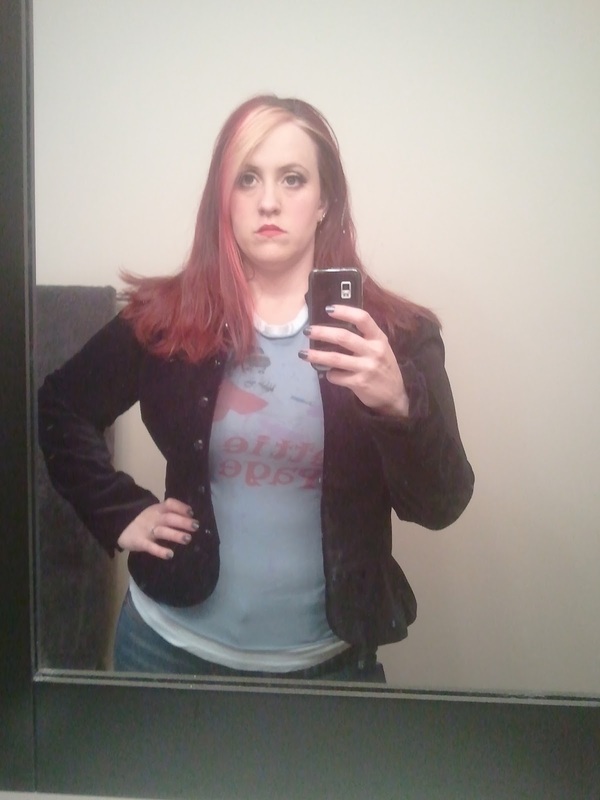 Pink is okay, I guess, but I'd rather not have another Dead Girl Derby team uniform color on my head.